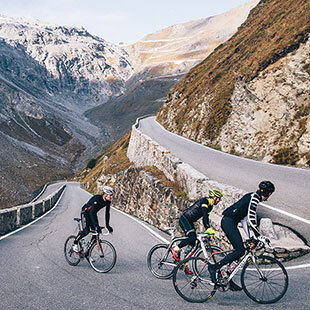 Mortirolo and Gavia Pass are two of the toughest climbs in Europe. In this itinerary you have the opportunity to do them both in one day. 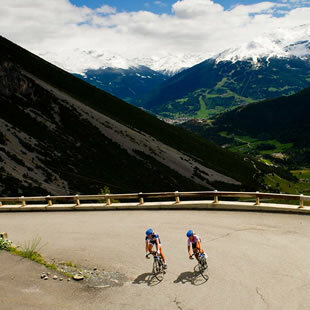 From Bormio and back you’ll have to cycle for 115 kilometres. Here is another “must” itinerary for climbers. Start and finish are set in Bormio. The 3,200 metres of elevation gain are spread over about 115 kilometres. 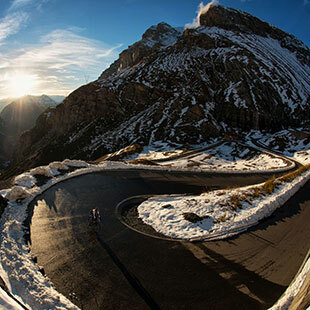 The challenge won’t only be to cover the entire route, but to do so without setting foot on the ground, because Mortirolo and Gavia Pass are two killer climbs. Such killer climbs that the first time the Gavia Pass was included in a stage of the Giro d’Italia, a specific insurance policy was stipulated with a special clause: if a car were to break down, it would be left behind and thrown into the ravine, so as not to run the risk of blocking the road and interrupting the race. Seeing is believing!